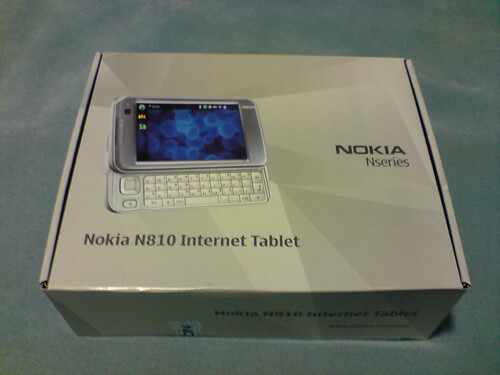 Enjoy all the pictures, including a size comparison with the Nokia N800, Apple iPhone and Asus 701 (Eee). Very nice picture overview of the N810 ! I couldn’t do better myself. Waiting for a lot more screenshots and detailed review about the GPS and it’s software. Awesome pictures! Let’s hope the people at WOM World send you a N82 as well, can’t have you walking around with a K850i, ewww. would you buy a n810 or eee pc if you already had a smartphone with GPS builtin(tomtom) and opera and media player(coreplayer)? If you were to investigate the hardware, could you take note of the GPS chip? I’ve read it to be a SIRF III but haven’t seen an official confirmation anywhere. That would give many people hope that Nokia could improve initial GPS locking time through firmware/software. thanks for all the different views!